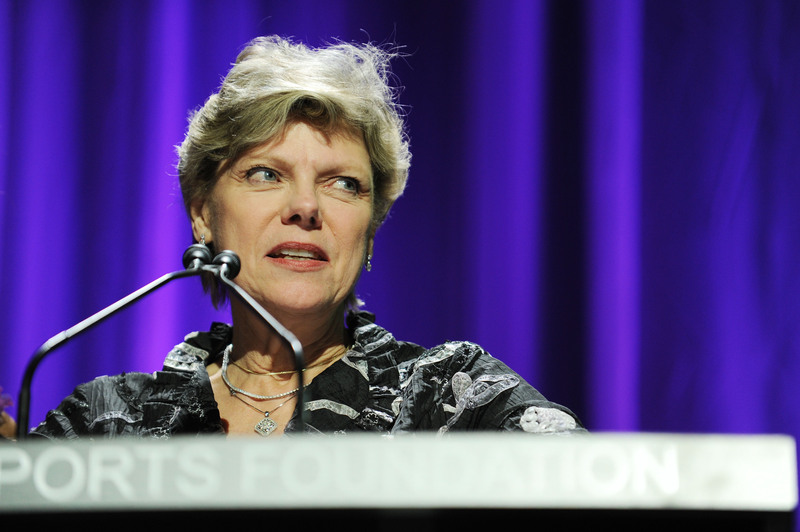 On Monday's episode of NPR's Morning Edition, journalist Cokie Roberts claimed Democrats want to replace Hillary Clinton. When the subject of Clinton's pneumonia and stumbling at the 9/11 service on Sunday came up, Roberts said, "It has them [Democrats] very nervously beginning to whisper about having her stepping aside and finding another candidate." She did add, "I think it's unlikely to be a real thing." Roberts, who appeared on Morning Edition with The Federalist editor Mollie Hemingway, cited Clinton's public display of illness as part of the Democratic presidential candidate's campaign's "lack of transparency." Roberts said, "It was hours before the pneumonia diagnosis was revealed, after seeing this incredibly damaging video of her being helped and stumbling into a van." Roberts also argued that Donald Trump "has been setting her up for this month," citing the Republican presidential candidate's stoking of concerns about Clinton's "strength and stamina" for months. Although Roberts initially appeared to downplay the likelihood that Clinton would actually be replaced, she stressed Democrats were exploring their options and even suggested the vice president was a popular replacement. "But you know, they have looked at what happens in that circumstance," Roberts said of a scenario where Clinton would be too ill to be the nominee. "And the Democratic National Committee chair convenes the committee, and they vote. Now, ironically, the candidate that everyone looks at is Joe Biden, who is, of course, older than Hillary Clinton." While host David Greene reminded viewers that her campaign has said Clinton's "health is fine" and she will soon resume her campaigning, Roberts proceeded to add, "Absolutely. That is happening, we assume. But there is enough unhappiness, that this kind of sotto voce stuff is going on." It's hard to imagine that Clinton health truthers won't pounce on Roberts' statement, especially considered her reputation as a seasoned reporter. Roberts has won numerous awards for her reporting, including the Edward R. Murrow Award and three Emmys. She co-hosted ABC's This Week with Sam Donaldson and was a mainstay of American news broadcasting.